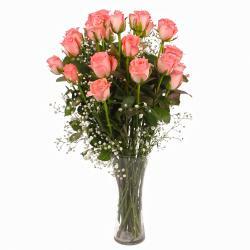 Product Consist : 25 Pink Roses with green fillers in Tissue Paper Wrapping with Ribbon Bow on it. 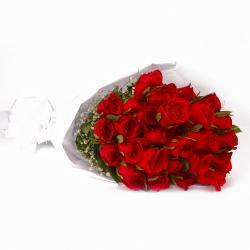 Send this special bouquet of pink roses exclusively handpicked decorated with white color tiny flowers looks amazing. The fresh and natural aroma of the flowers will touch the heart and will forget all misunderstanding leading to a new start. 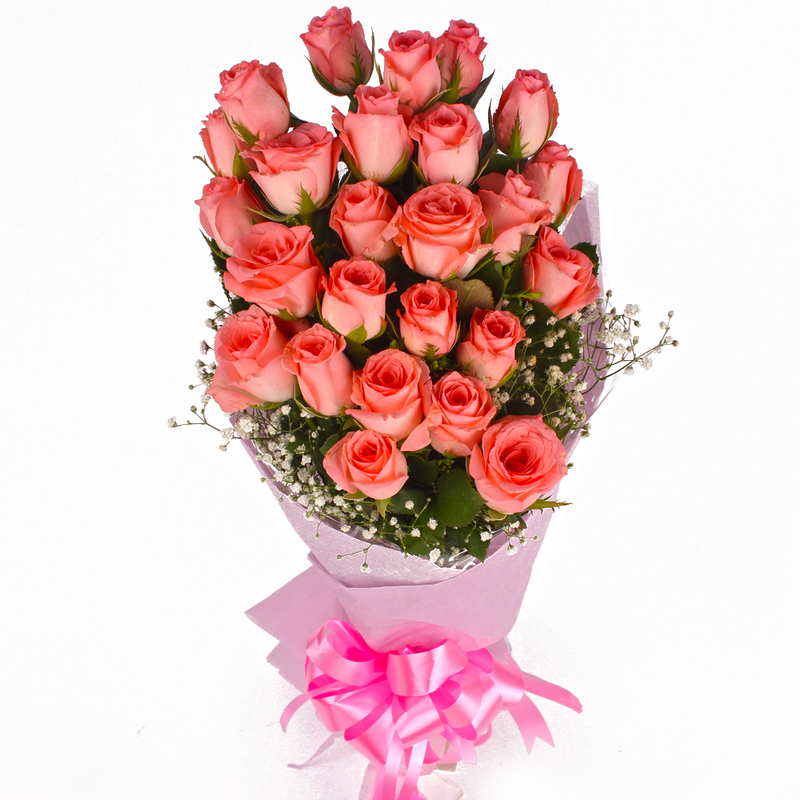 The bunch of twenty five pink roses in tissue wrapping and is tied with a matching ribbon bow. 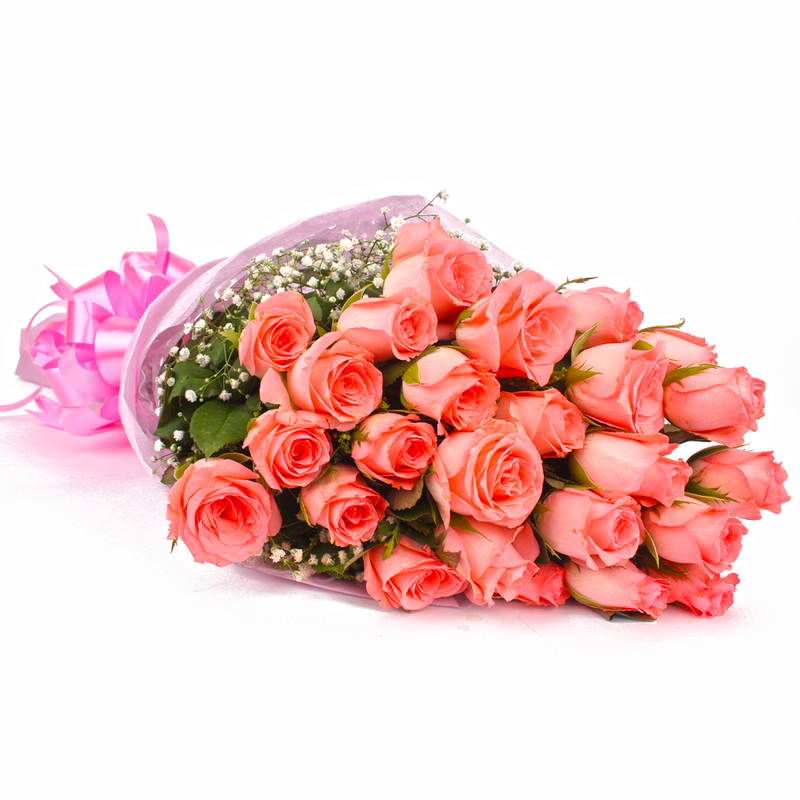 The bunch of pink roses is given to say sorry and to apologise for everything. 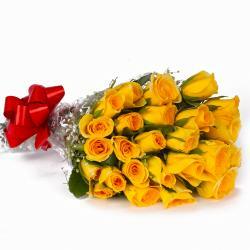 You can gifted this occasions like Birthday, Anniversary, Retirement Gifts, Easter, Valentines Day. 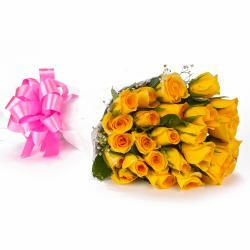 Product contains : 25 Pink Roses with green fillers in Tissue Paper Wrapping with Ribbon Bow on it.